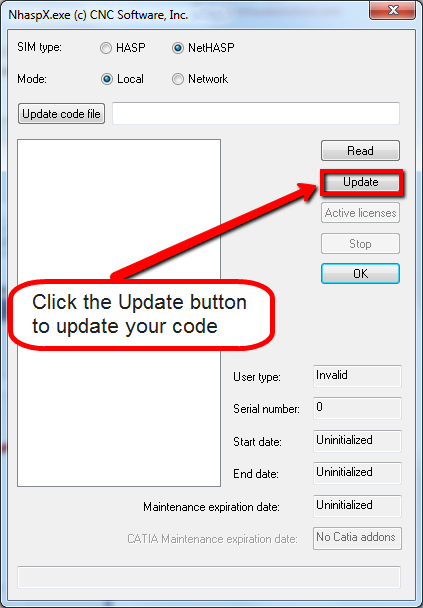 To update or install your codes, please follow the instructions provided below. Open the email you received from In-House Solutions. Right click on attachment and choose the option to “Save As”. If the NHasp is not on the computer where you received this email, save the code file (attachment) to a flash drive and take it to a computer where the NHasp is. You cannot remotely access into the server or do a screen sharing session into the server to update the NetHASP. To update the NetHASP, you physically need to be in front of the computer where the NetHASP is. Select the desktop as the location to save the .hcode to. 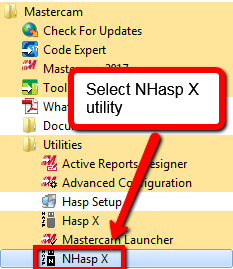 From your Start Menu, open your NHasp X utility from Mastercam drop down menu. Make sure SIM type is set to NetHASP. 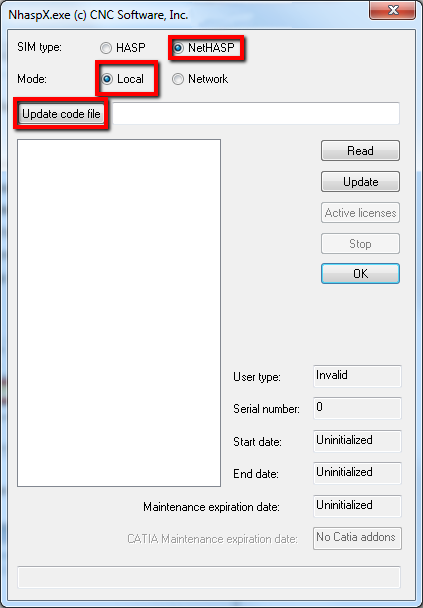 Choose the Update code file button and search for the code file you saved on the desktop. For Mode settings, if the NetHASP is plugged into the computer you are working on, choose Local; if you are on the server and the HASP is NOT physically in your computer, choose Network. Click the Update button to update your code. Select Read and your HASP information should appear. Check that the status at the bottom of the window says “NetHASP found” and check the maintenance date is correct. Select OK. Your NetHASP has been successfully installed. 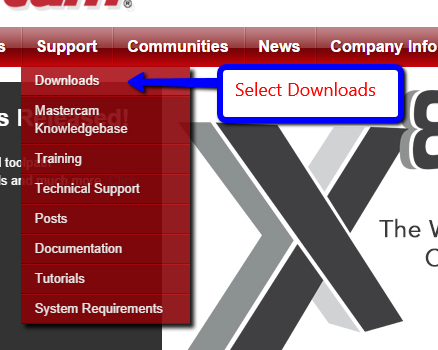 If the above steps do not work, please go to www.Mastercam.com. If you have an account, login to your account. If you do not have an account, you will need to follow the steps and register for an account. Once you are in your account, go to Support, Downloads. Pick the option Drivers and Utilities. 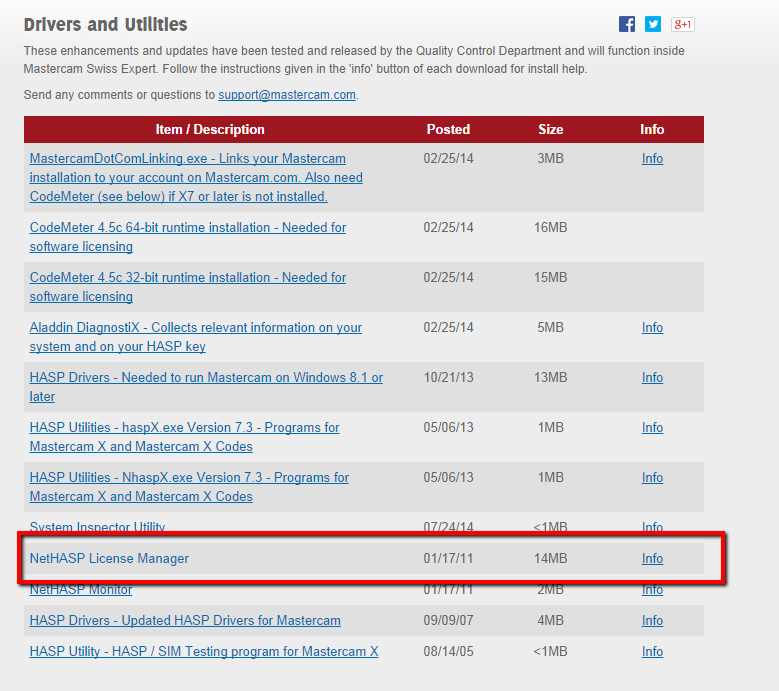 Download the NetHASP License Manager. If you are not downloading this on the computer (server) with the NetHASP, copy this file to a USB stick and take it to that computer. 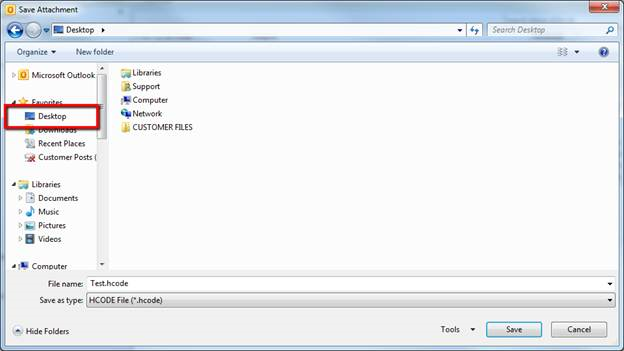 Once at the computer with the NetHASP, extract the mastercam-licensemanager.zip file and run the .exe.